Our program/event/church/anything needs to be more intentional. Intentional: adjective. done on purpose; deliberate. It's the new youth ministry motto. Ironically while we in the youth ministry tribe repeat the word "intentional" as seal of approval for whatever new endeavor we're pursuing, we may be doing so with little purpose, care, or deliberation. Confession: adding the word "intentional" to any program, event, or idea I've proposed makes it just sound more...well...intentional. Small group discussion = intentional small groups. I wonder if we sometimes say this word as a throwaway, verbally offering it up to get others' heads nodding with us in approval. There is certainly theological merit to the concept. At a key point in his ministry, Jesus sets his focus on Jerusalem, fixing his gaze on the mission ahead of him for the redemption of humanity. There is a deliberate plan in place as the purpose-driven Jesus heads towards the cross. 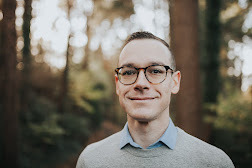 Yet aren't there times when what we deliberately planned and purposed--our program, our worship set, our sermon, our game, our small group discussion--simply isn't what God had in store for that particular moment? The unexpected, the unintended, the fortuitous, the providential--those things happen. 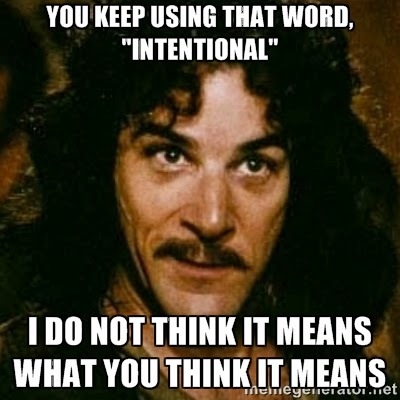 What if we looked at the word intentional differently? In ministry, we must embrace the tension of being deliberate, careful, and purposeful while having open hands, open ears, and open hearts with a humble willingness to be led by the Spirit of God in a given moment. We become purposefully receptive to giving up our purposes and deliberate about God's will being above and beyond our own. What does it look like to embrace the tension? Live with a posture of open hands, holding two seemingly-opposing ideas, circumstances, or feelings in each hand--the present and future, suffering and hope, the kingdom being now and not yet, grace and justice, my plans and God's plan. Live into the paradox and mystery of our reality with honesty and humility. Have a vision of the world with colorful discernment over and above simplistic black-and-white thinking. And do it intentionally. We all agree, it's better that way. What do you think? How often are you using the word intentional? What does it look like to embrace the tension in your ministry?